Technicians manage intelligent equipment at a hot pot restaurant in Beijing, capital of China. 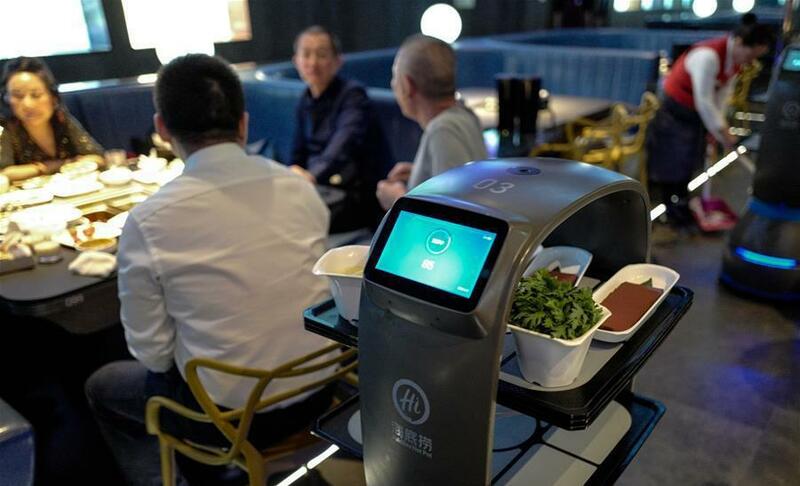 A hot pot restaurant which integrates artificial intelligence, big data management and smart robot service has attracted lots of consumers. After customers order their dishes with a tablet computer, robotic arms in the kitchen get all dishes ready and then the delivery robots sent the dishes to the tables. Workers in the kitchen control all the procedures and also monitor the data for better management.